Indigo Builders of Lake Placid, Inc.
Tomoka Heights is a 55+ community in Lake Placid, Florida. This gated active adult neighborhood features a great clubhouse and plenty of social activities to keep residents busy all year long. Tomoka Heights provides homeowners with a small town setting that will consist of 460 attached and single-family homes upon completion. Located in Central Florida, Tomoka Heights offers active adults a convenient location with easy access to Lake Henry as well as nearby shopping, restaurants, and attractions. 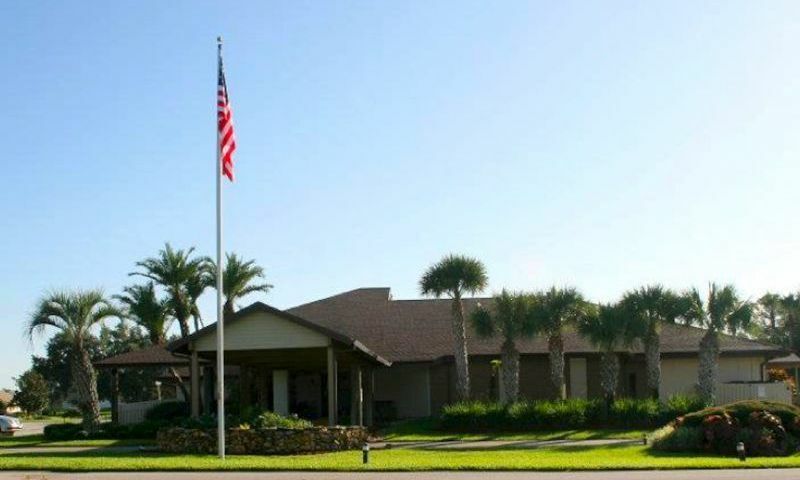 Active adults living in Tomoka Heights enjoy socializing at the clubhouse. The clubhouse features inviting social spaces and a variety of activities to keep residents entertained. They can attend club events, create arts and crafts projects or host community meetings in the multi-purpose room. Residents can stay in touch with loved ones by checking their email in the computer room or they can relax with a good book in the library. Outdoor amenities include an outdoor pool and spa that’s perfect for relaxing under the Florida sun. Residents can have friendly competitions with neighbors at the tennis, bocce ball, or shuffleboard courts. Homeowners can enjoy beautiful open park spaces as well as walking and biking trails throughout the community. There is a pavilion, boat ramp, RV parking, and fishing dock situated around Lake Henry where homeowners can enjoy plenty of water activities. Construction of Tomoka Heights began in 1982 by Indigo Builders of Lake Placid, Inc. The community will consist of about 460 attached and single-family homes upon completion. All homes offer spacious layouts with single-level living and some residences feature granite countertops, hardwood cabinets, and luxurious fixtures. Attached homes offer approximately 1,000 to 2,400 square feet of living space. They have two bedrooms, two bathrooms, and an attached two-car garage. Single-family homes in Tomoka Heights range from approximately 1,700 to 3,000 square feet. They have two or three bedrooms, two bathrooms, and an attached two-car garage. Residents of Tomoka Heights enjoy an active and social lifestyle. There are a wide variety of clubs, activities, and events for homeowners to participate in and make lifelong friends. They can join the digital technology club, ticker club, Iowa party group, or book club. Residents can play poker, pinochle, pickleball, bowling, bocce ball, or bunco. There are also plenty of holiday parties and community events like Saturday morning breakfast, party in the park, and potluck dinners. With so much to do in Tomoka Heights, homeowners can keep their social calendars busy any day of the week. Situated in Highlands County, Florida, Tomoka Heights offers residents a great location close to US Highway 27 and Lake June Road that makes getting around town a breeze. Minutes away from the community's gate you will find restaurants like the Olive Garden as well as shopping at Bed Bath & Beyond and JC Penny. A 20-minute drive to downtown Sebring offers more shopping, attractions and fine dining establishments. When traveling farther is required, residents can catch a flight at Sebring Regional Airport. For big-city attractions, homeowners can visit Fort Myers, Orlando and Sarasota, which are about 90 miles away. Tomoka Heights is a well-established 55+ community with affordable homes for active adult buyers in Lake Placid, Florida. There are plenty of activities available in Tomoka Heights. Here is a sample of some of the clubs, activities and classes offered here. Attached homes offer approximately 1,000 to 2,400 square feet of living space. They have two bedrooms, two bathrooms, and an attached two-car garage. Some homes have Florida rooms and may have upgraded features like granite countertops, hardwood cabinets, and luxurious fixtures. Please Note: Floor plans are not available at this time. Single-family homes in Tomoka Heights range from approximately 1,700 to 3,000 square feet. They have two or three bedrooms, two bathrooms, and an attached two-car garage. Some homes may have upgraded features like spacious living and dining rooms, elegant master suites, gourmet kitchens, and hardwood floors. Please Note: Floor plans are not available at this time. 55places.com is not affiliated with the developer(s) or homeowners association of Tomoka Heights. The information you submit is distributed to a 55places.com Partner Agent, who is a licensed real estate agent. The information regarding Tomoka Heights has not been verified or approved by the developer or homeowners association. Please verify all information prior to purchasing. 55places.com is not responsible for any errors regarding the information displayed on this website.